Every patient who comes to Anesthesia Pain Care Consultants can expect a personalized plan tailored to their unique needs. Every person and every pain is different and we strive to formulate a treatment plan that works best for you in order to achieve pain relief. Many patients complain of intense, shooting pain, as well as neck pain and lower back pain. Initial consultations allow you ample time with a physician to discuss your pain; its initial onset; the degree, severity and frequency and the various treatments you may have already tried. Then, we create a plan that fits your condition. 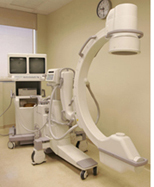 This might include specialized injection therapy using fluoroscopy, physical therapy, diet, exercise and/or medication. Your treatment will be fully explained to you and your questions answered prior to commencing with any course of action. Depending on the treatment, we often employ techniques to provide information on the exact site of pain origination, making the treatment more effective. For additional information please see links below or call us at 954-720-3188 for an appointment.